This is one of the most brilliant “Mappings,” a show using projector technology, that we’ve ever seen. 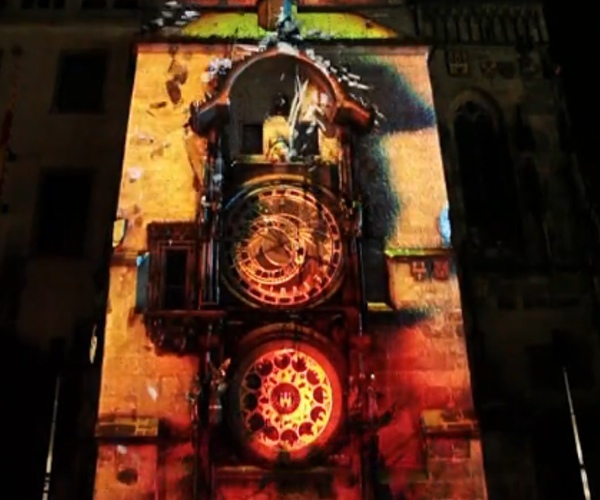 This mapping was done by Macula, Michal Kotek and Lukáš Duběda and took place during the 600 years anniversary of the astrological tower clock situated at Old Town Square in the center of Prague. The entire performance was done with two Christie projectors (2×18000 lumens in HD). No additional lights were used in the composition. The sound was done by data-live. Production by Tomato Production.